The Nissan Juke is the latest attempt by an automaker to usurp the Mini Cooper, still the preeminent small urban car. Measuring just 13.5 feet in length, with a total height of just over 5 feet, this sporty and stylish mini-crossover is a blast to drive. And, the curiously responsive 185-horsepower engine provides enough juice for the Juke to make you gasp a little around corners. But the real innovation is that Nissan managed to pack in an engine with 177 lb-ft of torque at around 2,000 – 5,200 RPMs in a small and nimble footprint. 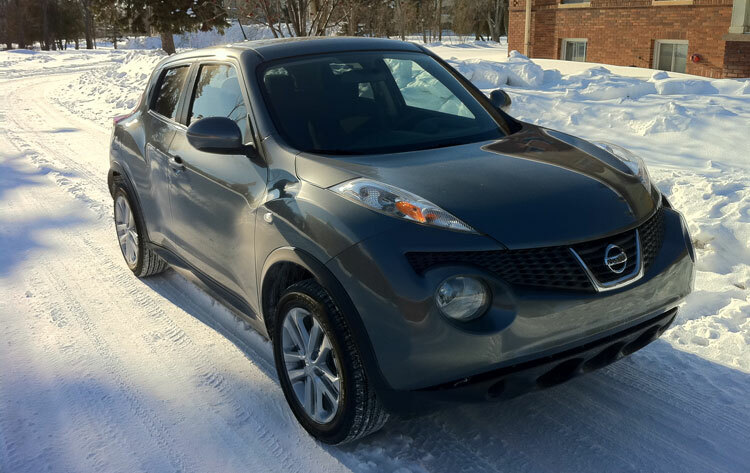 For those who prefer the pure thrill of driving over more practical transportation needs, the Juke feels like you’re driving a stock-car at the circus. The only problem: The fun only lasts up until about 45 MPH. As with any small car, you have to know what you are getting. 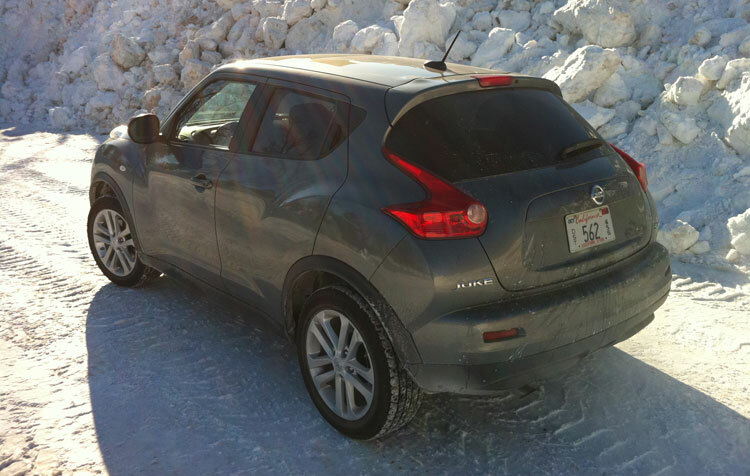 From the outside, the Juke looks a little odd depending on the angle. From the front, it looks beefy and mean, almost like the close cousin to the Nissan Leaf. Turn to the side, and the Juke takes on a more pronounced small-car look: tall in the front, sloping dramatically to the rear, with a hatchback that’s small enough to be mistaken for a door on other cars. There’s something striking and a bit peculiar about it. During our tests, we had several people stop and ask about the model name. The turn signals, which are located on top of the hood and highly visible when you drive, are also head-turning. Overall, the design borrows a little of the curvatures on the M37x, squishes them down to Mini Cooper size, and then adds some of the Mini Cooper’s flare.